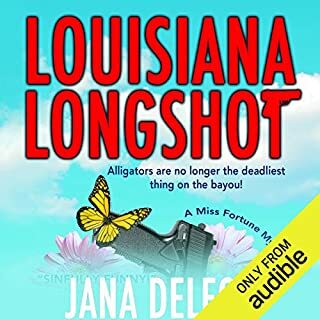 From Charlaine Harris, the best-selling author who created Sookie Stackhouse and the world of Bon Temps, Louisiana, comes a new, darker world - populated by more strangers than friends. But then, that's how the locals prefer it. Manfred Bernard (from The Harper Connelly mysteries) moves to the quirky town of Midnight with it's strange and off beat residents and quickly decides he will fit right in. 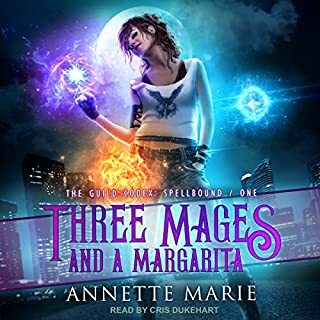 However trouble soon comes to the town and Manfred, often two steps behind despite his psychic gift, is drawn right in with his new neighbors. Charlaine Harris has a talent for writing characters that no one else has yet matched for me. She shows all the angles, loves them for their strengthens and their faults, shows them through others eyes in a way that brings new life to them and in which they'd never see themselves. 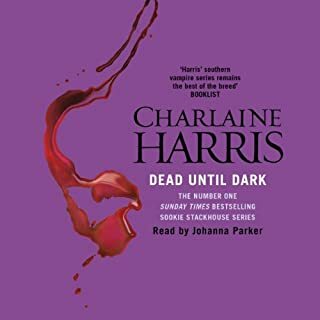 The weary humor and understanding of human nature Charlaine Harris brings to this story really sets it apart me and I think it's a real shame that although she has reached popular acclaim with True Blood, stories like the Harper Connelly mysteries and Midnight Crossroad don't seem get the critical acclaim they deserve. Yes there's magic and mystery here and I like that in a story but it only adds spice to a beautifully drawn portrait of the intriguing characters in an American small town. 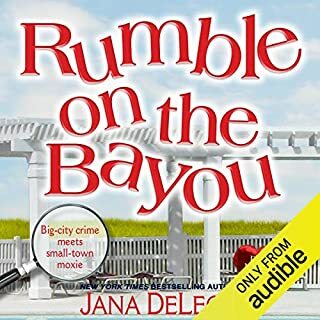 Susan Bennetts' narration just seems good at first, though you get very little of it in the story, as much of it is told in the first person, through the varying eyes of the town's residents. This showcases the narrators ability to credibly do an array of voices, from old men to young mothers and at times I really forgot I wasn't watching a show rather than listening to a book. You don't need to read the Harper Connelly mysteries to enjoy this book but I'm glad I did as Manfred's perception of himself is incredibly self deprecating and it's good to contrast them with Harper's version of an intelligent, confident and worldly wise young man. I also loved the character of his grandmother Xlyda (pronounced Zilda in the audiobooks) and much of Manfred's character is explained by his upbringing with her. I really hope Harris continues to write about Midnight and I will be pre-ordering the books if she does, especially if they are told by such a good narrator as Susan Bennett. One of the best books of 2014 as far as I'm concerned. Quirky and unexpected. A fun read but a slow burn. Midnight"Midnight Crossroad" is a quirky book about the (very) small town of Midnight and its exotic inhabitants. It struck me as a sort of "Lake Wobegon" with vampires, witches, psychics, biker gangs and a talking cat. 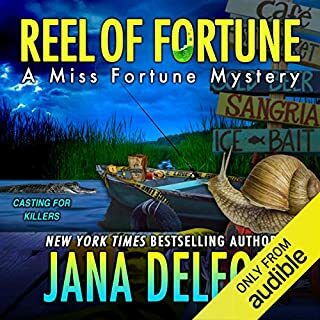 Two people Charlaine Harris fans will know, reside in Midnight: Bobo Winthrop from the Lily Bard series, owner of the town's pawn shop and Manfred Bernardo, newly arrived in Midnight and the person through whom we discover many of its eccentricities. You don't need to have read either of the series to read "Midnight Crossing" although Bobo's back-story does have spoiler information on one of the Lily Bard books. My favourite new character is Fiji ("named for the island") a witch who runs a gift shop and who runs classes ranging from finding your inner witch to making ferocious-looking Halloween pumpkins. After Manfred, the outsider with much to learn, it is through Fiji's eyes that we most often view Midnight and its inhabitants. Fiji tries "to be a good person and a good witch" although she doesn't always seem certain that the two go together. 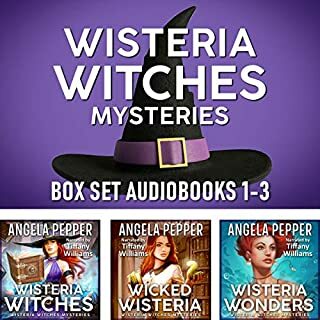 She has fallen hard for Bobo Winthrop but is unable to tell him so, partly because Bobo is grieving because his lover has left town in mysterious circumstances and partly because she is afraid, if she tells him, she will not gain a lover but lose a friend. The book has a leisurely feel to it. The plot hangs on resolving exactly what happened to Bobo's lover. It meanders rather than runs through the book. It takes bumps from person to person, changing our perception of each individual and cementing the sense of community within Midnight. You read this novel to understand Midnight, not to find out how the plot resolves. Although it contains abduction, arson, violence and murder "Midnight Crossroad" remains mostly light-hearted. It doesn't aim at the comedy of something like the "Nice Girls Don't..." series by Molly Harper. It's closer to Diana Rowland's "White Trash Zombie" series or perhaps Carl Hiaasen's Florida novels. I enjoyed the book. I became fond of the characters and curious about what would happen to them in the "next episode". Yet I found myself at a distance from Midnight's citizens. It lacks the intimacy of the Lily Bard and Harper Connelly, perhaps because it is not consistently told from the point of view of a single character. 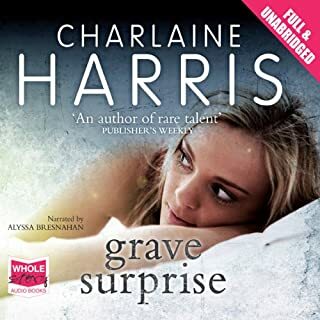 I giggled my way through the Sookie Stackhouse series, so having decided I needed a change of pace from my usual genre, I gave Charlaine Harris another go - and I wasn't disappointed. Midnight is set in the same world as the True Blood series - ie, Vampires and the other super-naturals are "out", although the focus is not on the vampires this time. Much like the True Blood series, it's not so much about the plot, but rather about the characters, and with the unusual inhabitants of Midnight, there is rich story-telling fodder. 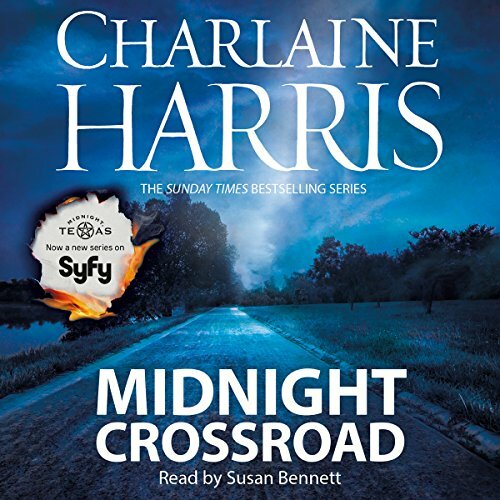 I enjoyed Midnight Crossroad - light humour and tone (although not quite as quirky as Sookie Stackhouse), some fun, likeable characters (Mr Snuggly, the cat, for one!) and a very easy listen. Book 2 in the series, Day Shift, has already been downloaded. 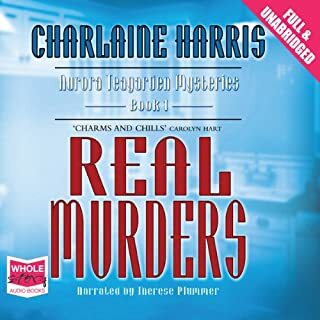 Charlaine Harris back on top form! What made the experience of listening to Midnight Crossroad the most enjoyable? There is a core group of characters, rather than a single protagonist. A real ensemble piece. What was one of the most memorable moments of Midnight Crossroad? When the cat reveals his secret. Nice to meet a couple of characters from other series in a new setting. Very fresh. Can't wait for the next one. What did you like most about Midnight Crossroad? The idea of a group of outsiders all finding each other in a small community, but being happy to let the new man in. What other book might you compare Midnight Crossroad to, and why? Three to see the king by Magnus Mills. You get that similar insight into how small mid west villages work and survive, even when things arent quite normal. Admittely this has a touch of the supernatural, but the story diesnt revolve round this, more the lives of the people of midnight. Which character – as performed by Susan Bennett – was your favourite? Very hard to pick a favourite, she is very good at creating lots of different voices so you dont get confused during conversations. Without wanting to spoil it for others, the day trip/picnic brings everyone together, but not as they had hoped. Its always hard creating a new set of characters, and the author to my mind failed with Grave Sight. This, however, seems far better and left me wanting to know what will happen next to the citizens of Midnight. Bit of a dull story. Would you try another book written by Charlaine Harris or narrated by Susan Bennett? 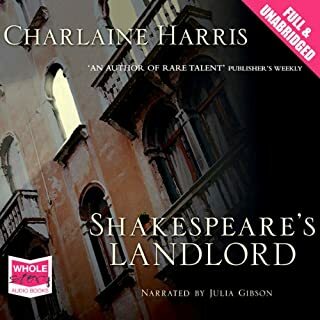 I loved Charlaine Harris' other series but I was a bit disappointed with this story. 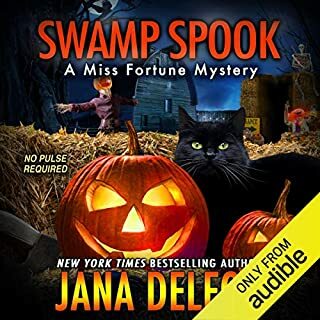 It's really quite slow and doesn't have the intensity found in either the Sookie Stackhouse or Harper Connelly novels. 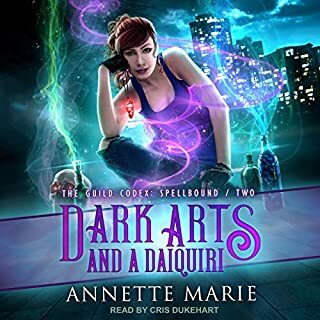 It was easy listening though and I hope that the next book in the series has a better pace. I usually listen to crime novels but this was a good story! This wasn't what I expected but I really enjoyed the story . I liked the narrator and it livened up the journey to work. I have just bought the second book. This story has a scene setting feel about it. Characters of this creepy yet endearing town are introduced leaving you wanting more and leaving a few loose ends to be picked up in subsequent instalments.